Chowny Bass - Andertons Music Co.
Chowny are a fledgling bass manufacturer from Bristol, England. Debuting in 2015, they’ve built a strong line-up guitars and signature models. All their instruments are Chinese-made and undergo refinement in the UK workshop by a team of luthiers. The first run was solely designed as an entry-level bass, but they have recently expanded into higher-end models for serious touring musicians. Despite the low prices of early releases, Chowny haven’t skimped on build quality or good looks throughout their range. The company was founded and named after Stephen Chown in 2014, when he began working with foreign factories to design a unique bass that didn’t have to compete with guitar titans Fender or Gibson. Once he was happy with an instrument that balanced quality and price, he planned on getting off the ground with a Kickstarter crowdfunding campaign. However, the growing social media following around the start-up company boosted pre-order sales and he simply progressed from there. As an intermediate bass player, Chown made sure he was surrounded by experienced musicians who knew what kind of features they wanted from their bass guitar. Chowny has worked with the likes of Youtubers Rob Scallon, Davie504, Dmitry Lisenko and Big Country bassist Scott Whitley for expert advice, and the latter went on to co-design his signature bass. The first bass Chowny released was the CHB-1, a semi-hollow short scale design and it’s proven to be their most popular model so far. There was a niche in the market, and they filled it with an affordable but well-spec’d instrument for beginners or guitarists wanting to try their hands at four strings. The latest version has improved access to upper frets and even better hardware, whilst keeping the option for flamed maple tops in burst colours. 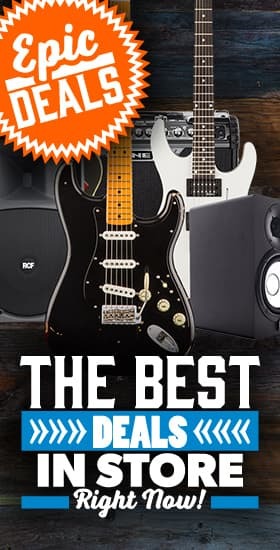 The sound is warm and resonant, and takes on a classic, stylish look thanks to its ebony fretboard with big block inlays, flowing body design and two-by-two headstock emblazoned with the classy Chowny logo. All the woods involved are sourced as close as possible to the factory they’re made in to ensure sustainability to the environment and good quality. The crown jewel is the SWB Pro, which comes in either a natural, matte-finished walnut top or a variety of quilted maple colours. It’s the only bass Chowny produce with EMG Jazz pickups for a super modern tone. The line has expanded into the Retrovibe, which takes on more of a 70s Rickenbacker style in a glossy, bold finish and the Retrovibe EVO, with an Ernie Ball-esque rounded body and quilt maple top. All feature bright and snappy maple necks, and the option of either single or dual pickup configurations for your choice in sound. Recently, the company put out their first two bass pedals; the Bass-Mosphere chorus/reverb and the Fuzzster overdrive, again, built with good specifications at great prices. Chowny plan on releasing more basses over the coming years and it looks like they’ll only go from strength to strength. Exclusive Finish for Andertons Music Co!